Grape and Cable Banana Boat - Repro. There should be no confusion in separating this newer, smaller version from the older style. We do not know how many colors may have been produced. However, this is an entirely different mold than was used for the older banana boats. The one pictured here sold over eBay. This pattern is synonymous with early Northwood; created for iridescent production and introduced in 1910. Anyone who has ever collected this type glass will be quite familiar with the pattern. The market was overwhelmed with colors and shapes in this one pattern alone, which gives rise to belief that a later market would receive these reproductions without hesitation. BANANA Bowl, Non-stippled: These oval, footed bowls are 12”-13” in length and not trademarked. Seen most often in amethyst, marigold and green, in that order. They are scarce in white, ice blue, ice green, and pearlized custard. Cobalt blue is a rare color. BANANA Bowl, Stippled: Often referred to as “banded” because of a roughly ½” wide raised band running around the top portion. These are more difficult to locate than the non-stippled version. Marigold, green, cobalt blue, Renninger blue and aqua are known colors. 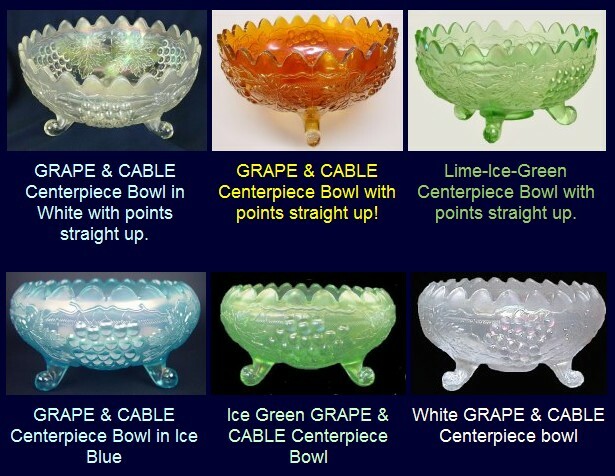 CENTERPIECE Bowl: These 11” bowls rest on three scrolled feet and were fashioned from the mould for the shallow salad bowl. 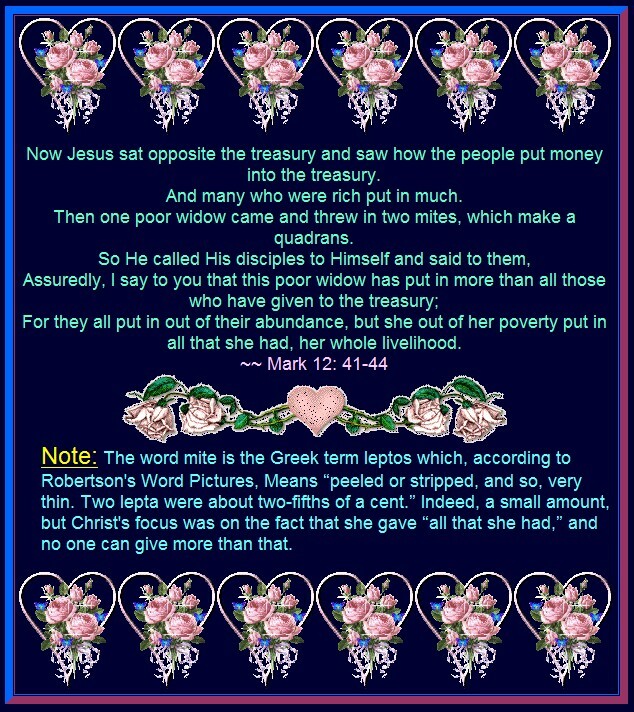 The edge points may be cupped inward, like a rosebowl, or pointing straight up. Neither style is often available. Most often seen in amethyst or marigold. Green, white, ice green, and cobalt blue are scarce. Ice blue is rarely found. Only a few pearlized custard examples are known. 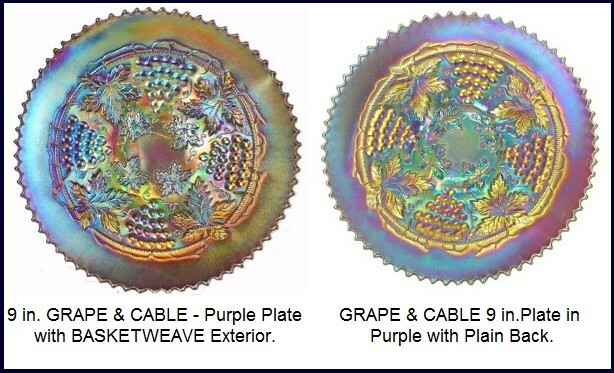 PLATE, 9”, Collar Base: May be found having Basketweave or plain exterior. Marigold, amethyst, green, pastel marigold, lavender and a few very rare ice blue examples are the colors known. 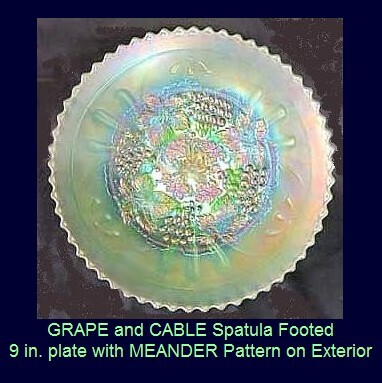 PLATE, 9”, Spatula Footed: Three spade-like feet support this plate. MEANDER exterior pattern adds interest. Meander is a mould purchased by Northwood from Jefferson in 1908. 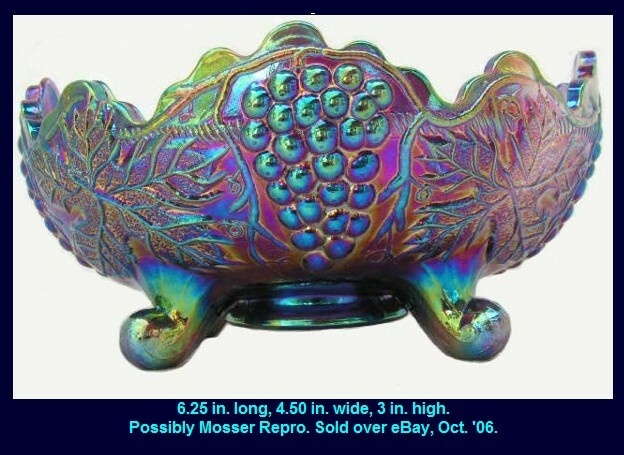 Jefferson had produced non-iridized opalescent glass with it for a number of years. Northwood used the pattern solely as an exterior design, primarily on Three Fruits spatula footed bowls. Marigold or amethyst examples are not too difficult to locate. Green is somewhat more difficult. Cobalt blue is scarce and ice green is downright rare!